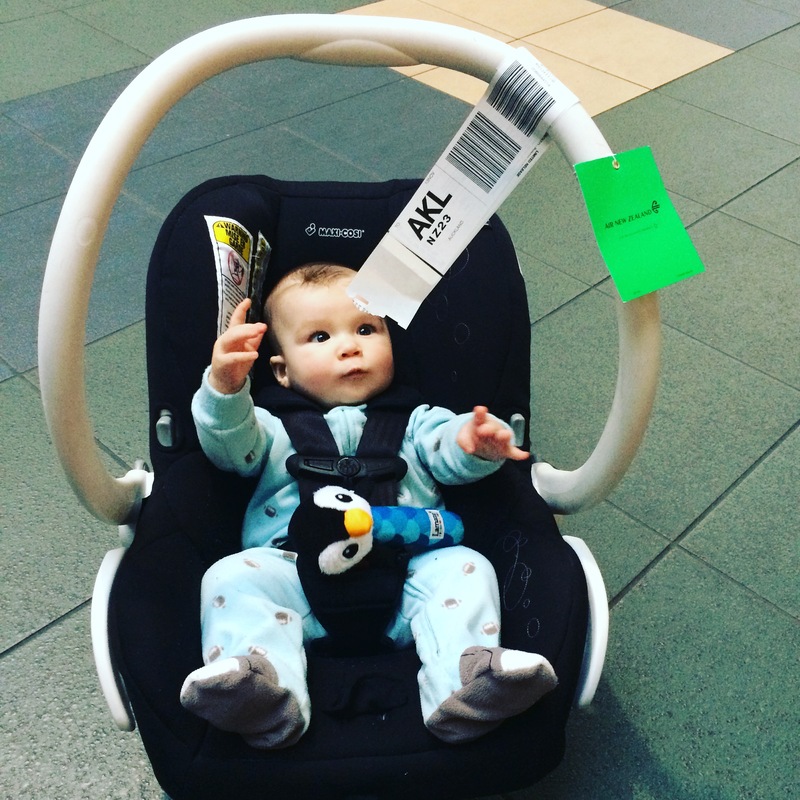 Traveling with a baby: Fun? Crazy? Naive? We didn’t know but decided to roll the dice and see. 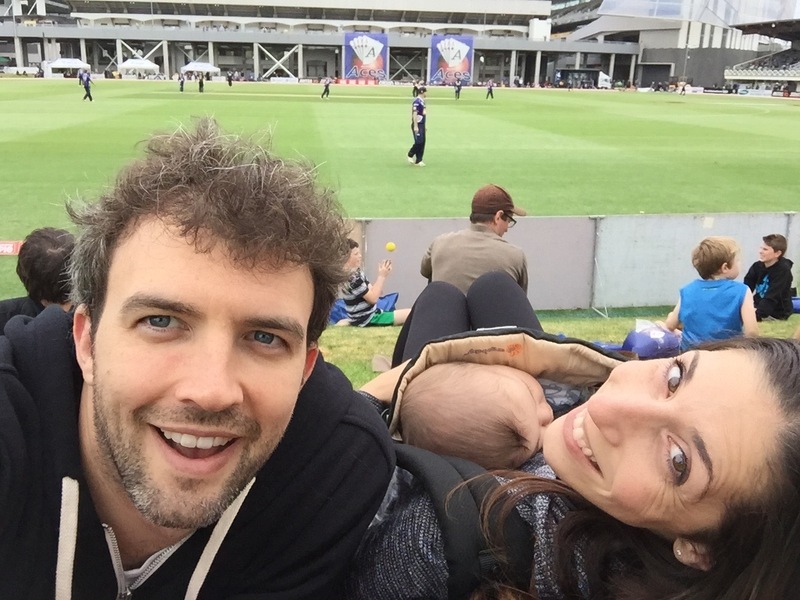 With me being on mat leave and D having left over holiday time, we wanted to take advantage of our time away from the office and go far away. 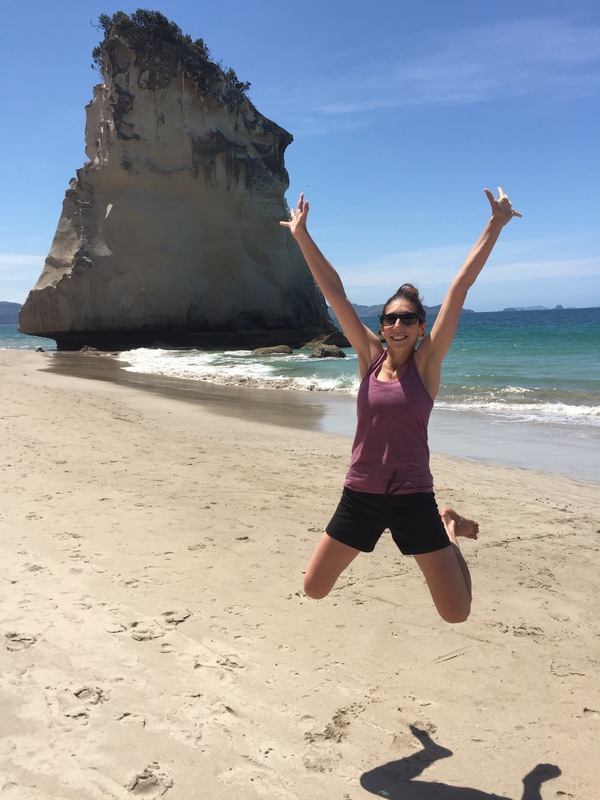 After considering our warm-weather options we decided on a month-long adventure to New Zealand’s North Island, leaving in mid-November. We had never been, the climate seemed nice, the photos we had seen were stunning, and it is a very safe country to travel in with excellent health care. So with that limited amount of knowledge we booked flights from Vancouver to Auckland and a campervan and bought two travel books that we didn’t really even have time to read until we arrived. 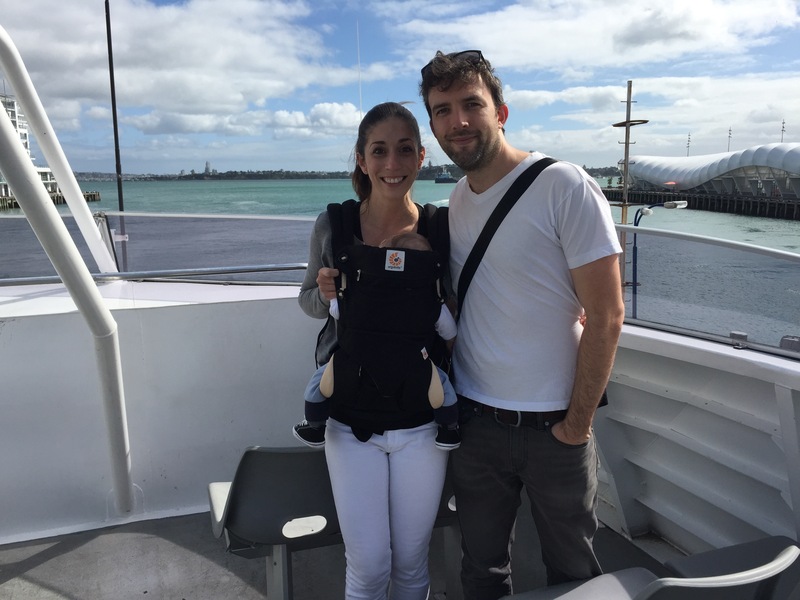 Traveling with a baby is not as fun as traveling without a baby. Shocking, I know. But it is still fun and is better than staying at home and not traveling. Once you have a baby, those are your two options. 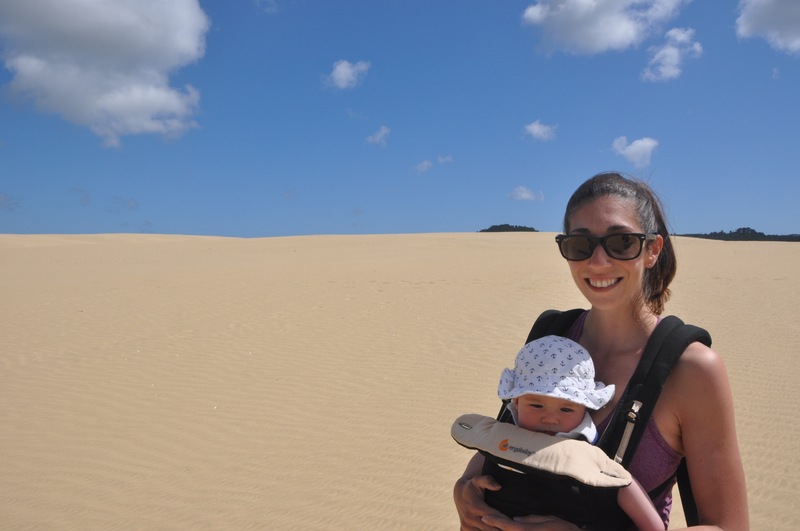 So go and you will still (hopefully) have fun, but don’t let anyone tell you it is just as fun or more fun than traveling sans baby. They are lying to you. You will be that family at the airport with a luggage cart and an embarrassing amount of stuff, spending like 20 minutes at the counter trying to check your bags while holding up the line. The stroller and carseat alone will take up an insane amount of room. This is your karma for smugly judging families on your previous pre-baby trips. Buy a stroller bag for your stroller so you can check the stroller in the oversize luggage check area at the airport. Not only will it protect your stroller but you can stuff it full of other heavy items, like wine, and get around your airline’s weight restrictions. 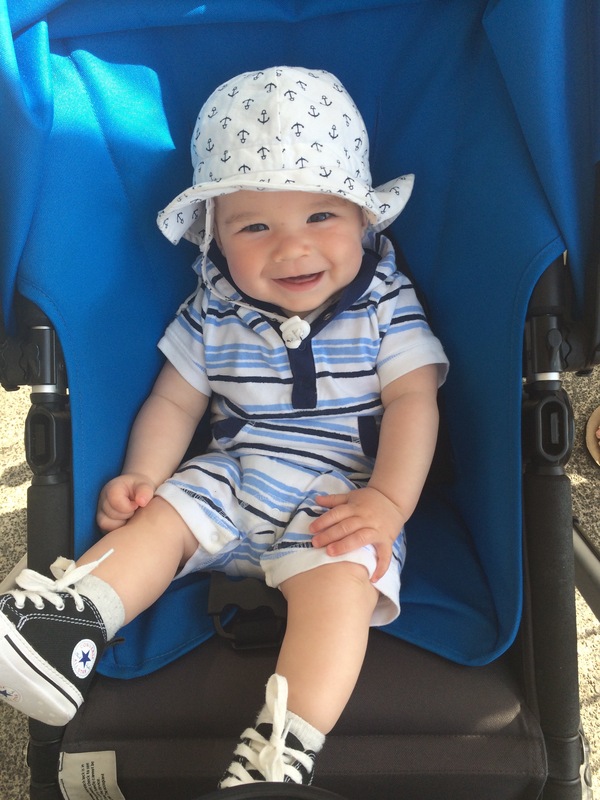 When booking your flights, book the bulkhead seats with the bassinet option. 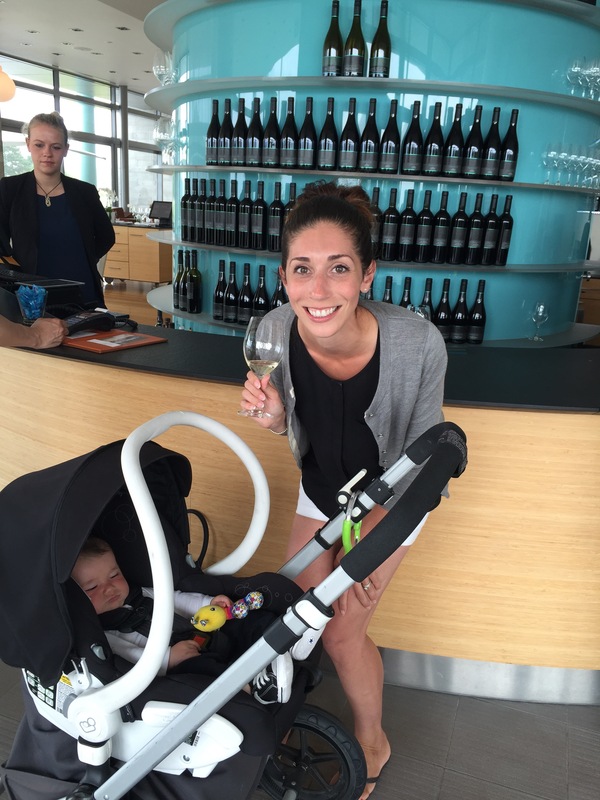 Book a red-eye if possible, so your baby will sleep and you and your spouse can then enjoy “date night” on the plane by enjoying your airplane meal and a glass of wine in peace while the baby sleeps, then watch a movie together. Do not get cocky when your kid is the perfect sleeping angel on the entire flight. Two days later, they will make you pay for it by having a massive fit during your day trip to an island. Only later will you realize why (teething! of course) when two sharp little steak-knives for teeth are visibly sticking out of their mouth. Do not get mad when the campervan your spouse booked is more “rustic” than you expected. Recognize that this is finally your chance to earn some legit street cred when you get back home among not only the more laid back parents you know, but those low-maintenance outdoorsy people. Know, however, that you cannot please everyone – wait until you see the horrified looks on other high-strung mommies when you tell them that you co-slept with your baby in a campervan without a fitted crib sheet (from what I can gather, this is basically as bad as smoking crack around your baby and dangling them out a window). There is no need to pack three bikinis. You will only wear one, once. Swimming is not nearly as fun when one person has to stay on the beach with the baby so you have to splash around by yourself. You can afford to throw out that white onesie that came in a pack of four when your baby has the most atrocious explosive poop at the end of the 14 hour flight home. Move on and never look back. Save yourself. 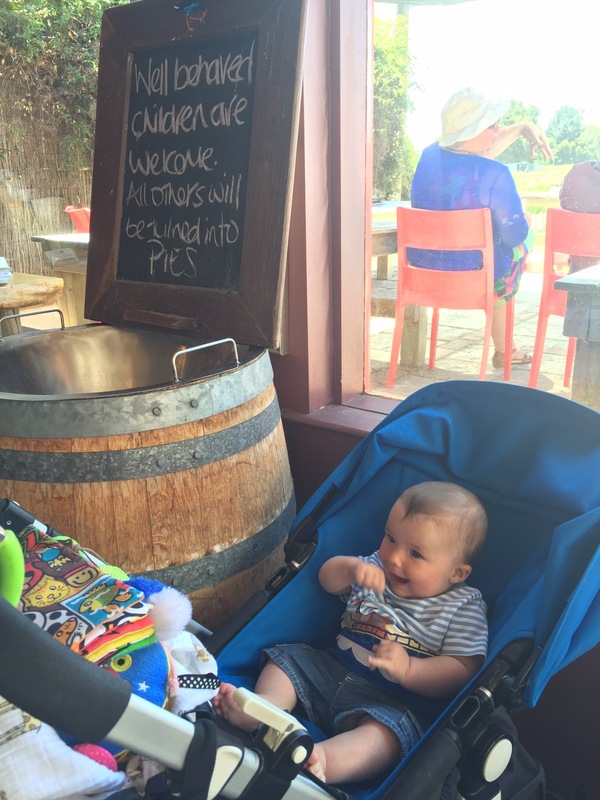 Go to Martinborough if you get a chance. Probably the neatest wine region I’ve been to. The wineries are small, family-run places and they are walking distance from one another (on flat land, so it is truly a leisurely activity). Great pinot noir. Charming tasting rooms. 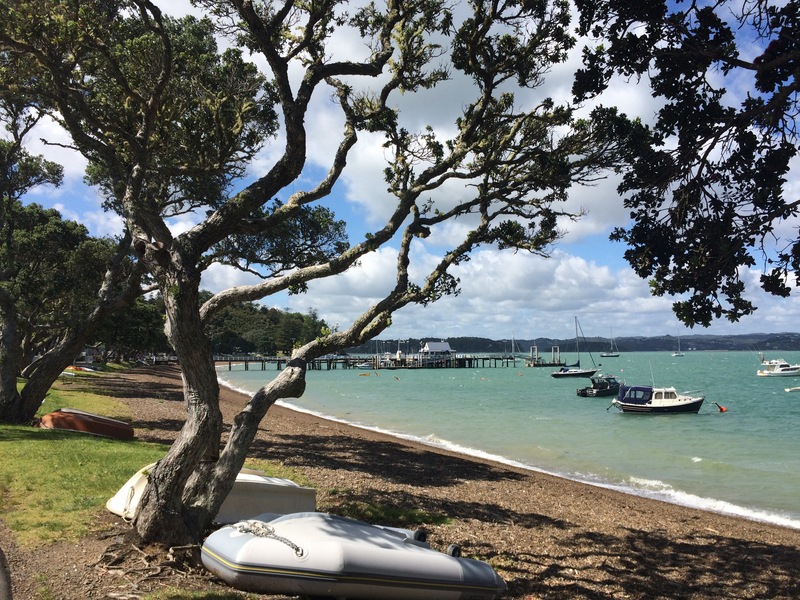 Go to the Bay of Islands if you get a chance. Beautiful green-turqouise water. A good place if you like boats, beaches, water, islands. 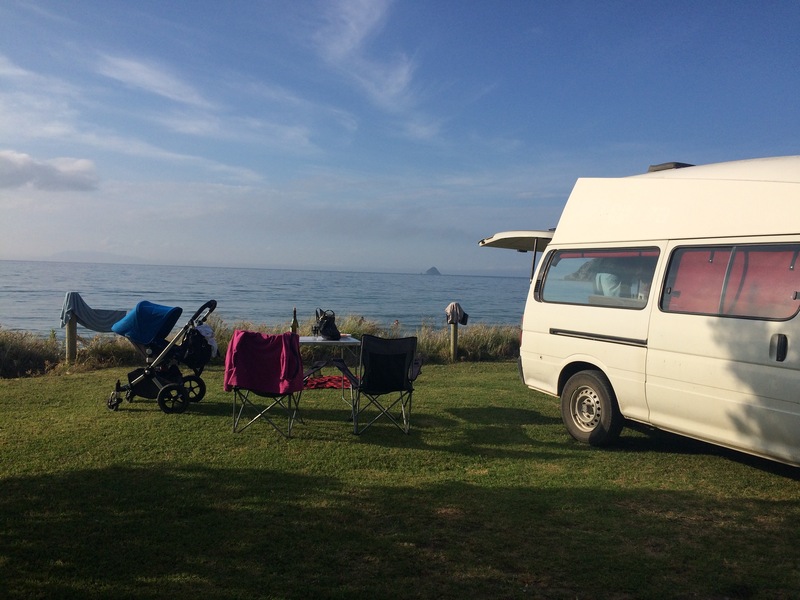 Go to the Coromandel Peninsula if you get a chance. 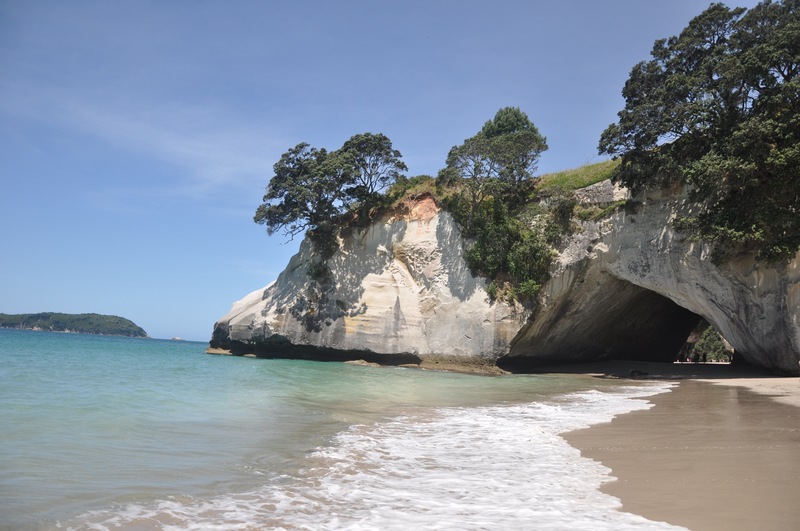 Stunning scenery (I loved Cathedral Cove, and the drive to Port Jackson). In all seriousness, I really, really loved our vacation and I wouldn’t do it any differently. It was a great opportunity to spend uninterrupted time together as a family and it was a good getaway when the days were getting shorter, darker, and colder at home. The scenery was beautiful and we got to check out some really lovely, remote places. Baby N loved it and he was a really good little traveler. He had one bad day before his two teeth popped up. Other than that he was pretty cute and smiley. He was a champ on both the flight there and back, sleeping about 12 of the 14 hours each way. I would recommend doing a trip like this to anyone who has the time and the desire to do so. Some days will be better than others, but you will be proud of yourself for going and you will make amazing memories.